Local preparedness and security management are of primary importance to communities as part of Homeland Security. Jake Cox and Lindsay Frahm present this video of Thomas County Emergency Management with Susan McMahan to show aspects of events towards risk and crisis management. Safety and security home and abroad are foremost concerns. A close, semester study of the current threats, risks and hazards gives students tools for emergency preparedness and situational awareness. Travel is inevitable with humankind. We strive to make it the best. Jake Cox and Lindsay Frahm created the following video. This is my digital story on what got me to where i am today. On April 6, 2009, two unidentified suspects kidnapped, and held hostage, an officer of the law. One of the suspects was a male that had broken out of prison, while the other suspect was his girlfriend. The hostage situation lasted several hours because the suspects were denied their demands. One of the suspects had a mental problem and demanded his medication, pizza, and a get-away car. The demands were put off for several hours to ensure that the suspects would eventually give up. After several hours of negotiations, the suspects gave up, and released their hostage. After receiving a phone call about hostages being held at Colby Community College the hostage team starts to negotiate. They run a phone line to the hostage takers, setting up communication. They tried to convince them to turn the hostages loose. Negotiating for several hours, the hostage takers demand pizza, medication, and a get-away car. Negotiations continue, and the Crisis Response Team (CRT) convinces the suspects to release their hostage and turn themselves in, quietly. This was not a real hostage situation, but it did have the components of a real hostage scenario. If it were real, things wouldn’t have been so “calm.” More than likely, it would have lasted longer if it was real. Real hostage situations can last hours, even days, depending on the severity of the situation. This scenario was a wonderful opportunity for students to learn what really happens during a crisis, not just what we see on TV. Evony is an excellent opportunity to create your own virtual state / civilization. It is a FREE online city simulator which allows you to experience city management, in an artificial environment. Here is a link that will take you to Evony. Comparative links for study of global security. This is my digital introduction to the world, and the reason I became interested in criminal justice and politics at large. This is a digital media presentation by Jason Ackerman and Laura Williams. Our assignment was to roughly summarize the first four chapters of the Bullock text, while leaving the viewer curious enough to do additional research. The House and Senate proposals for a new Department of Homeland Security would make the new department responsible for coordinating activities with, and providing assistance to, state and local gov. to ensure adequate prepardness for possible terrorist attacks as well as natural disasters. This would equip existing agencies with functions such as: Federal Emergency Management Agency (FEMA), Office for Domestic Prepardness (DOJ), National Domestic Prepardness Office (FBI), Office of Emergency Prepardness (HHS), National Disaster Medical System, Metropolitan Medical Response System, and Pharmeceutical Stockpile (HHS). The administration proposes that the new department establish standards for responding to weapons of mass destruction (WMD) incidents and developing a nationwide training and evaluating system. Another issue is whether or not FEMA should remain an independent agency or be integrated into the plan. 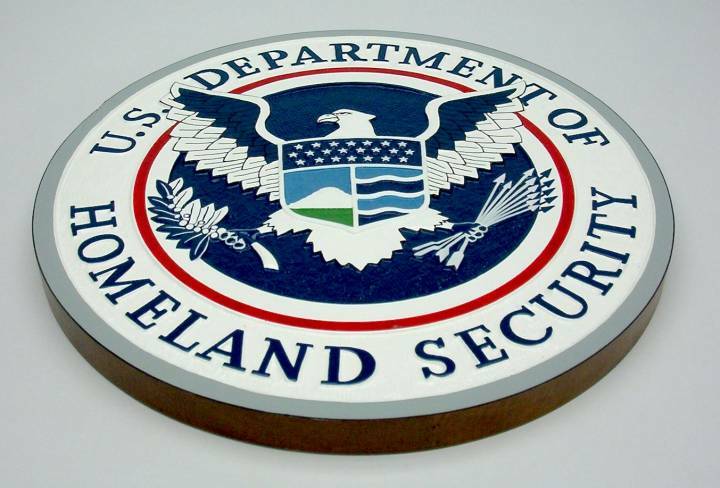 The Administration Proposal states that the Department of Homeland Security would give state and local officials one primary contact instead of man, and especially when it comes to matters such as: training, equipment, planning, exercises and other critical homeland security needs. This approach could leave the Department of Homeland Security without necessary resources to adequately prepare states and localities for terrorist attacks, if they are not given the proper tools and means of communication through different agencies. Integrating FEMA could allow the Department of Homeland Security to use the agency's training and grand administration resources and its existing relationships with state and local institutions. Not integrating FEMA could continue the percieved lack of coordination of federal prepardness assistance programs. On September 11, 2001 the United States underwent a great change. When the terrorist attack occurred, Americans were unnerved by how an act so horrible could happen on their own territory. This fear made the government and President Brush rethink how the government was protecting its people from future attacks. Over the past twelve years the government has made many changes to the governmental departments on how to protect and prevent another event of this scale from happening again. In order to keep Americans safe, policies and systems have to be in place to stop attacks and prevent our resources from being overwhelmed. In addition, homeland security keeps that United States prepared for natural disasters. Homeland security is often about learning from mistakes. Today’s policies and systems are set in place to avoid events like 9/11 and to better prepare for natural disasters like Katrina to save lives and avoid damage. The role of homeland security is constantly evolving to keep up with the needs of the country. Homeland Security has not been a perfect department, but it is a necessary system that will have to continue to change. With the advances in technology, the threats to this country could become even more serious and must be monitored to ensure the safety of the people. 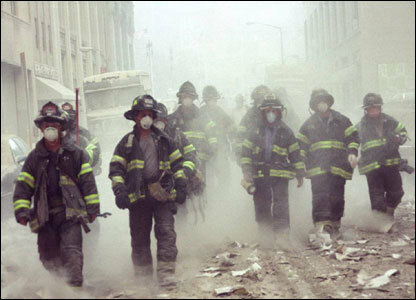 There is little question in anyone’s mind that the terrorist attacks of September 11, 2001 changed the world forever. The debate revolves around how much it has changed and whether that change is for the better—or the worst. There seems to be a type of cry in the wilderness; how did we get here? And where are we going? Through this community-based documentary project, stories are presented from a local point-of-view. We hope this effort will garner continued support for the rebuilding of a great American city including the levee system, the vulnerable coastal wetlands, and the city's overall infrastructure. The footage for this film was shot in the months following Katrina and the production was finished in April 2008. Homeland security’s mission according to the DHS is to secure the nation’s borders from the many threats that our country may receive. The main mission of this organization is to develop a plan for national organization in the case of a terrorist attack. After the 9/11 attacks it became crucial for the country to create an organization which its sole purpose was to protect the nation from terrorist threats. Inside the government it is however only a cabinet department, not a branch off of the military as its previous classification was dictated to be a military issue. Under President Bush, this changed because the military was preoccupied with fighting the war against terrorism, which required the new creation of a department which sole duty was the protection of the homeland from terrorist act. The man who was first placed in charge of the organization was former Pennsylvania governor Tom Ridge, he began his under his control the Homeland security department issued a color coded system , that color coded system in particular was for identifying the current terrorist level, which were from bottom to top, low, guarded, elevated, high and severe risk of terrorist threat. When each level, rose it gave authorities new powers such as the ability to freely search vehicles entering the country with the justification of probable cause, if the threat level system is high enough to warrant such searches. Tom Ridge was ridiculed for the confusing nature of this program’s color coded system. Due to the creation of the DHS; other departments were swallowed up, such as the U.S. border patrol, and the U.S. customs office. All of these changes were brought on by the Homeland Security Act of 2002, which as previously stated combined several previously independent departments into one unit clearly establishing the line of command, in the case of a national disaster such as a terrorist attack. Along with the creation of the Homeland Security department, came the National Response Network, which was the program that formed all departments into one unit clearly identifying the chain of command in incidents and being able to adjust to different situations. Another organization that came to be with the formation of the Department of Homeland Security was the cyber-security agency, this division’s sole purpose was and is to protect the nation’s infrastructure from cyber-terrorists, another department prior to 9/11 which was completely unheard of. In conclusion the Department of Homeland security is vital to the nation’s protection and was implemented after the 9/11 attacks to be an organization dedicated to the protection of the nation from outside attacks. With the new homeland security department it was vital to create other new organizations and command structures dedicated to the protection of the United States from all different types of attacks. Along with these new command structures came a new threat level system, which was color codded to easily identify which current threat level the United States was in from day to day. To wrap up all of these points without them our country may be a different place, if not for the new protection levels and new agencies all dedicated to the protection of our homeland from outside resources. The idea of Homeland Security is new to many Americans, and does not always roll easily off the lips. Many have asked about its origins and meaning. While the idea of looking to friends and then local, state and government agencies for protection takes us back to the earliest days of our nation's history, the idea that we might need defense at home was first raised in its modern context in 1949. A panel of experts completed a review of potential biological weapons and reported to the Secretary of Defense the need for "home defense, involving collaborate efforts of federal, state and private agencies." The term was next mentioned prominently in 1997. Concerned that the Department of Defense might not be moving fast enough to redesign itself after the Cold War, Congress mandated an internal "Quadrennial Defense Review" of military strategy, forces and priorities, with the first of these to be followed by an independent "National Defense Panel." In 1997 this NDP reported its conclusions, to include a concern that terrorist and other threats to the United States were becoming increasingly likely and potentially more damaging. They recommended more attention to the defense of the homeland - soon to be called "homeland defense." Over the next several years, additional reviews and commissions came to similar conclusions, and discussion of the issue increased. It soon became clear that the term "Homeland Defense" - conceived initially as actions by the Department of Defense — was not broad enough to capture all the actions required by a variety of government and private actors at multiple levels. Gradually, Homeland Security came to define that boarder set of actions and initiatives. And the whole preexisting set of actions already planned and coordinated to provide support by DOD within the United States in time of natural disasters and law enforcement crises was identified as a separate sub-set of the larger concept of Homeland Security. have in every county in every state. In an event of an emergency, the emergency managers will be ready to distinguish a plan with other agencies in the city, then they will be ready to attack the situation and attend to any people who are in need of help. Emergency managers also have to set up bases, and camps for people and supplies. There must also be staging areas for responders who are put on hold. 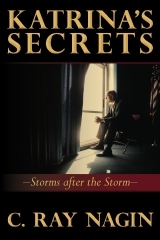 There are many titles in emergency management. There are certain people who work as officers, deputies, commanders, chiefs and also volunteers. All of these divisions serve as a big role in emergency management. Emergency management also deals with ice storms, fires, blizards, terrorists, active shooters, and severe weather such as tornadoes. All emergeneyc managers have to complete online and in class courses throught FEMA, which stands for Federal Emergency Management Agency. These classes teach the basics of emergency management, and also teaches the different brqnches of emergency management. It is important for people who help with emergency managers to take the basic ICS classes. These classes explain how to respond to emergencies at a level as a citizen. It is also important for people who want to help with emergency managers to take CERT trailing. This stands for Community Emergency Responce Training. This will help the emergency managers because the more help the communities in case of a disaster. Many emergency managers encourage cities to have training for emergency management. So everyone can respond in their own way to help others. This is a more affective way to take care of the situation. In a small town named Colby, located Northeast of Kansas. There is an emergency manager named Autumn Arasmith. Not only does she have to watch after 3,000 people in Colby, but she has to watch out for four other towns. So, she has to manage all of the county, which is named Thomas County. Autumn graduated from Colby Community College with her associated degree in criminal justice. Now, she is currently working in the office with her assistant David Becker. Her primary focus is to always plan ahead and make sure all procedures are ready in case of emergency. Autumn and David also have to review the counties EOP, which stands for Emergency Operations Plan. This plan explaines all the plans for safety in the county is there is ever a disaster.According to Wikepedia, ‘Emergency planning should aim where possible to prevent emergencies occurring, and when they do occur, good planning should reduce, control or mitigate the effects of the emergency. It is the systematic and ongoing process which should evolve as lessons are learnt and circumstances change’ (Office, 2013). The is always listening to the other agencies in Thomas County over the radio such as police, fire, and EMS. According to www.iom.edu, "timely emergency communications is a very important priority in emergency management." I'm sure Autumn would agree with me. Emergency Management can be a stressful job at times, but it must pay off when everyone goes home safely.